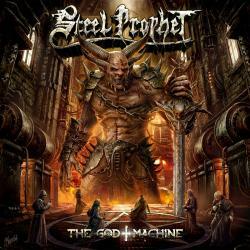 Los Angeles based, US Heavy / Power metal legends STEEL PROPHET are back with a new massive sounding heavy metal album that will definitely hit the top lists of 2019! 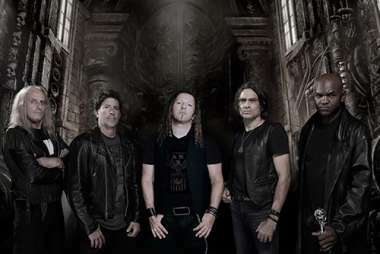 Five years after the release of their latest album “Omniscient” the band recruited the all-star Heavy Metal singer / producer R.D. Liapakis of Mystic Prophecy / Devil’s Train and his uniquely ranged vocal skills to perfectly match the songs on “The God Read more [...] Machine”. R.D. 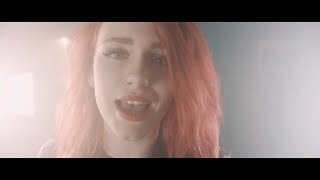 Liapakis is not just only the man behind the microphone though since he, alongside Steve Kachinsky is responsible for the songwriting and production process of the album. The voice of R.D. Liapakis sounds tough, bluesy and strong, with wide range, power and style. The high notes come effortlessly, and the lead vocals make you want to stand up and wail along with his singing. The drums sound huge and perfectly combine that old-school punch feeling you get in classic heavy metal albums while sounding fresh and up to date at the same time. The guitar work on the album sounds like all the hallowed marks of Heavy Metal classics with speedy licks and fast, furious and melodic riffs and solos complimented by fat basslines that anchor all instruments into a magnificent combo highlighting the amazing vocal lines. 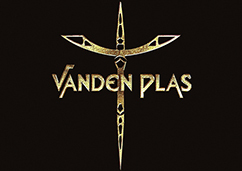 Each song is a delight by itself and elements of thrash, doom, and even some Scorpions tinged melodicism can be found in the band’s US Power Metal. If you live and breathe the spirit of Heavy Metal you will be astonished by “The God Machine” in its entirety. Produced by Steve Kachinsky and R.D. 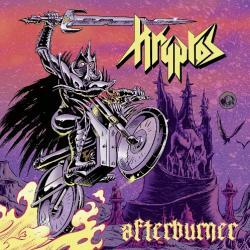 Liapakis (Mystic Prophecy, Devil’s Train, Suicidal Angels, Firewind, Eldritch, Silius, FireForce and many more). Mixed and mastered by “Best Producer 2017-Heavy Music Award” winner Henrik Udd at Henrik Udd Recording Studios (Architects, Bring Me The Horizon, Hammerfall, Powerwolf etc), who gave “The God Machine” a smooth and polished, yet brutally heavy sound. The album starts with the absolute banger album title song “The God Machine”, featuring furious rhythms, fast riffing and catchy arena choruses preparing the ground for “Crucify” which along with “Dark Mask / Between Love And Hate” will catapult the listener back to the best NWOBHM years while “Thrashed Relentlessly” is the definition of US power metal riffing! Songs like “Damnation Calling” and “Lucifer / The Devil Inside” will bring in mind the mighty “Headless Cross” Black Sabbath, Tony Martin era. The album’s multidimensional yet classic Heavy Metal mark is ultimately revealed to the listener as soon as the power ballad “Buried And Broken” kicks in! 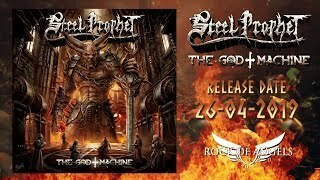 “The God Machine” is a high quality metal album that will become an instant classic among STEEL PROPHET’s catalogue!